Christopher Columbus, in 1493, is believed to have been the first European to come across the archipelago that includes what is now Tortola. With typical flair, he named the group Santa Ursula y las Once Mil Vírgenes (Saint Ursula and her 11,000 Virgins) after the legend of Saint Ursula, hence the Virgin Islands. Once squabbled over by the Spanish, British, French, Danish and Dutch as strategic possessions, the islands are now split between the British and the US who bought the few remaining Danish islands in 1917. 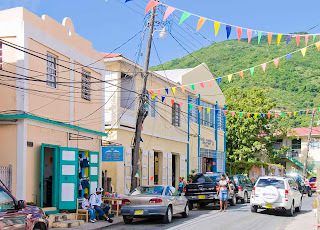 The British Virgin Islands (BVI) consist of more than fifty islands, the largest of which, Tortola, contains the capital Road Town. 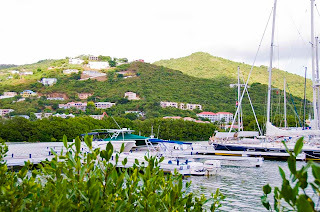 Tortola is approximately 12 by 3 miles and is home to about 18,000 of the total 22,000 population. Although the entire region was a notorious haunt for pirates, the Brits introduced sugar cane which became the main source of foreign trade until the middle of the 1800s. BVI gained separate colony status in 1960 and complete autonomy in 1967. Since the 1960s, the islands have diversified from an agricultural economy into tourism and financial services with the hugely popular International Business Companies Act, passed in the early 1980s, leading to massive growth in government revenue. With more than 50,000 companies worldwide having an offshore presence there, the U.S. dollar is the official currency even though the Islands are under the British flag, and BVI residents are amongst the most affluent in the Eastern Caribbean. 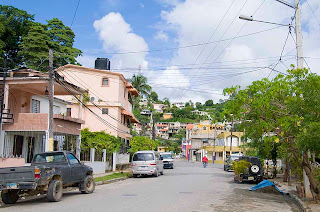 Affluence of course, is a relative term - the entire Eastern Caribbean exudes an air of abandonment from past Empires and Tortola is no exception. See here for more pictures. The hiatus between Thanksgiving and Christmas turned horribly cold in Indiana, motivating us wusses to flee to warmer climes. But where? 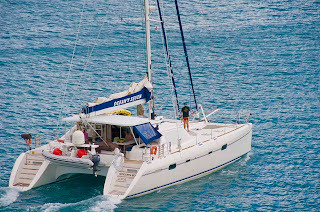 The most immediate opportunity was a boat to the Antilles, so, without further ado, we left. Big plane to Miami, big boat to eastern Carribean and then sport our lovely legs in shorts for a week or two. Fabulous! Columbus' first stop in the New World in 1492 was the island of Hispaniola and that was our first port of call as well. Hispanolia (from Spanish, La Española) is about the size of South Carolina and is the second-largest island of the Antilles with Cuba to the west, and Puerto Rico to the east. Today, the western third of the island is home to Haiti while the remainder has become the Dominican Republic. 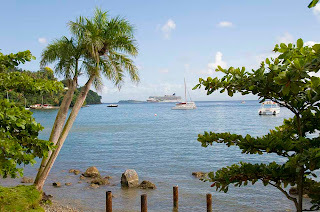 The ship stopped at the little city of Samana on the northeast corner. Click here for more pictures. Fria, farta, forte e feia, simply Cold, rich, strong and ugly goes the local Portuguese description for Guarda. A fortified town overlooking the Spanish border about 10 miles to the east, at 3,500 feet Guarda is the highest town in Portugal. Replete with narrow streets, defensive wall and a couple of surviving gates, the highest part of town sports a large square and one of the ugliest Gothic cathedrals known to man. 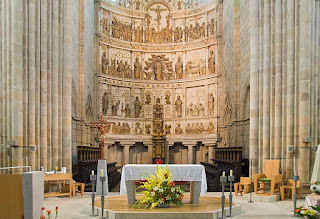 Built in the 14th and 16th centuries, the interior is quite graceful with twisted pillars, arched vaulting and a Renaissance altar of white marble, gilded in the 18th century with 100 high-relief figures. Other churches within the city walls include t he Misericordia and São Vicente Church. Sights from around town can be seen here. 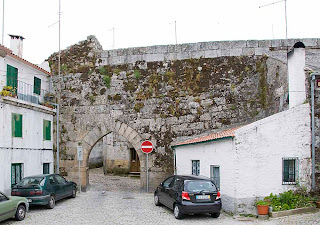 Formerly thought to have been a military base for Julius Caesar, then for the Visigoths and eventually for the Moors, modern Guarda was founded in 1199 by the second king of Portugal, Sancho I, has a population of about 31,000 and includes 55 parishes.